Hello, I know it’s a super simple bug, but I thought I’d show you guys what it is. 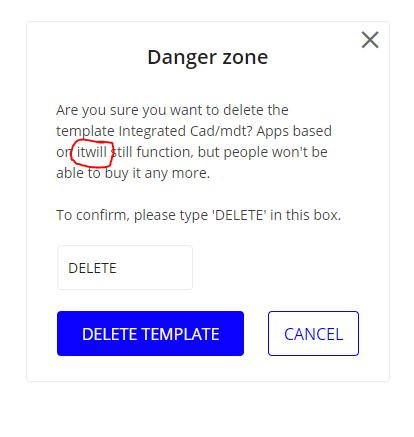 There is just a simple mistake in the typing on the “My Templates” page when deleting a template. It’s not too important so it’s not an urgent fix. Though, I just thought I’d let you guys know!